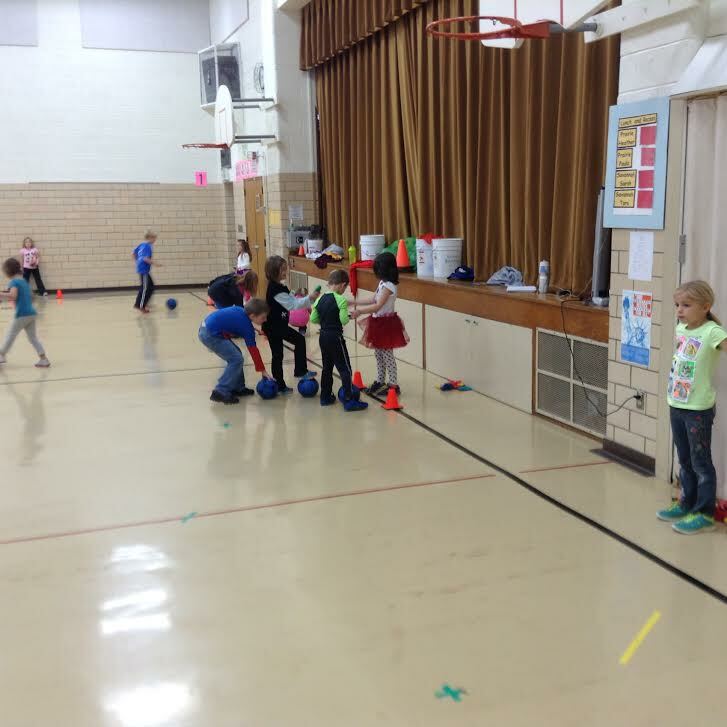 We are off to a great start in Phy Ed this fall. 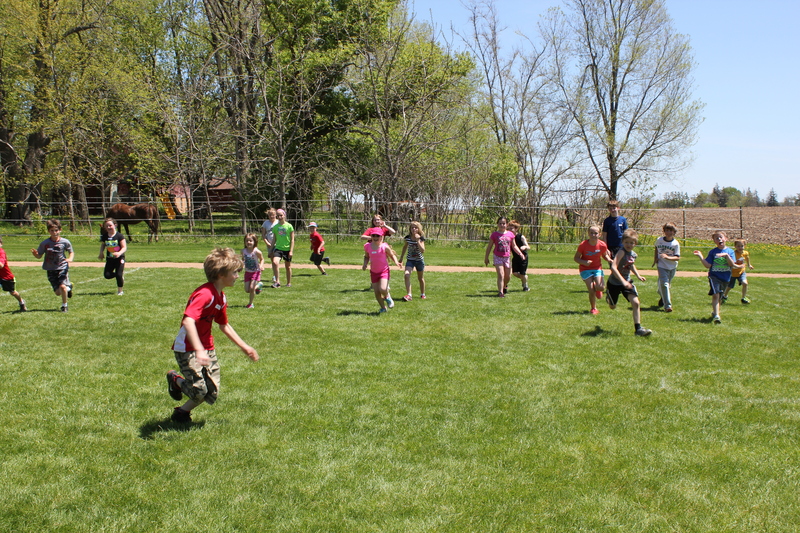 Kinders are moving along nicely in the curriculum learning nicely how to run, dodge, flee, and tag safely. They have also been practicing some different locomotor skills including galloping and skipping while trying to master jumping jacks. 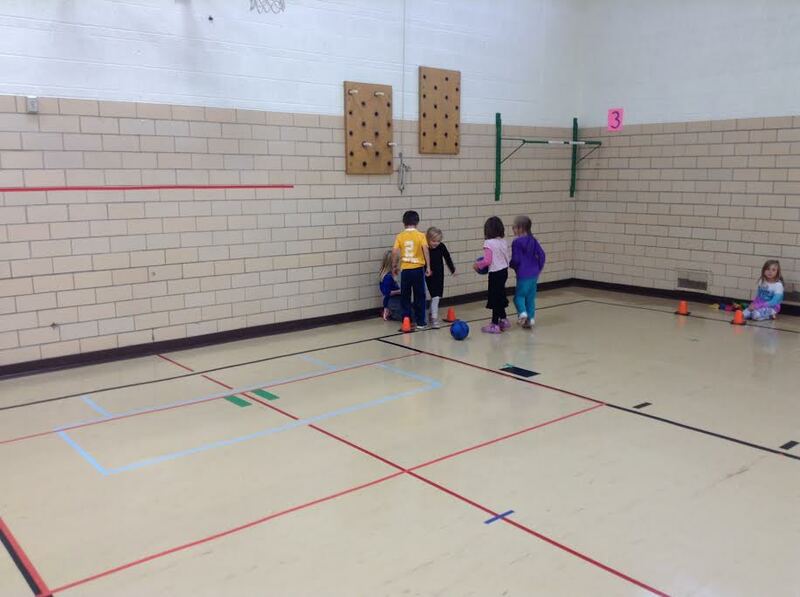 Savanah and wookland classes have ben busy with fitness testing while completing stations and are not into our football unit. They have also been working on increasing their running endurance in preparation for the mile run, most likely to take place near the end of the September. We have been invited once again to participate in the Faribault CC Fun 1 Mile Run. 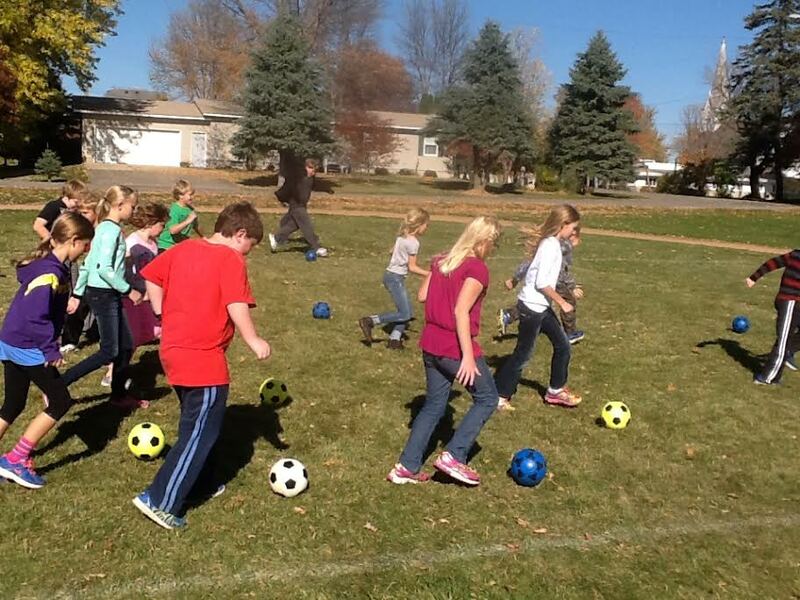 That event is slated to happen Tuesday October 3rd at Alexander Park North in Faribault. Please see attached document for details. 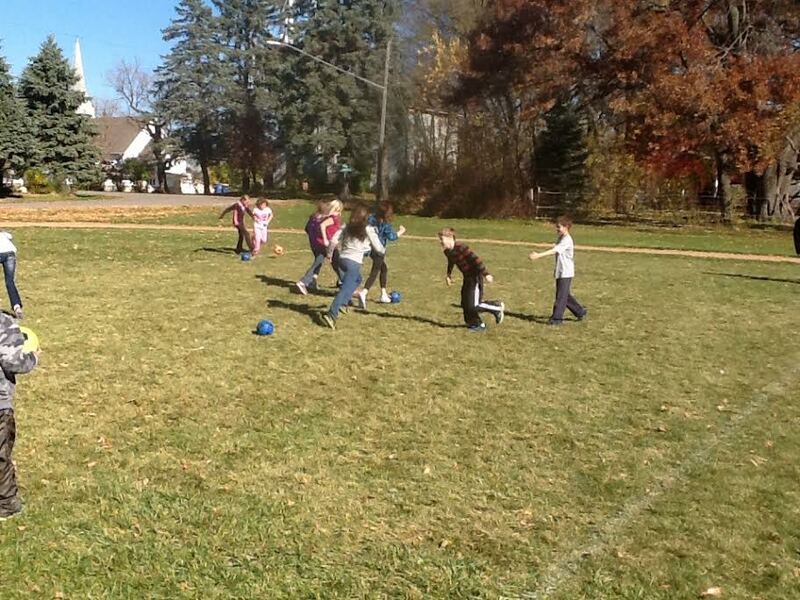 We are just beginning our soccer unit and seeing nice improvements with their ball-handling skills already. 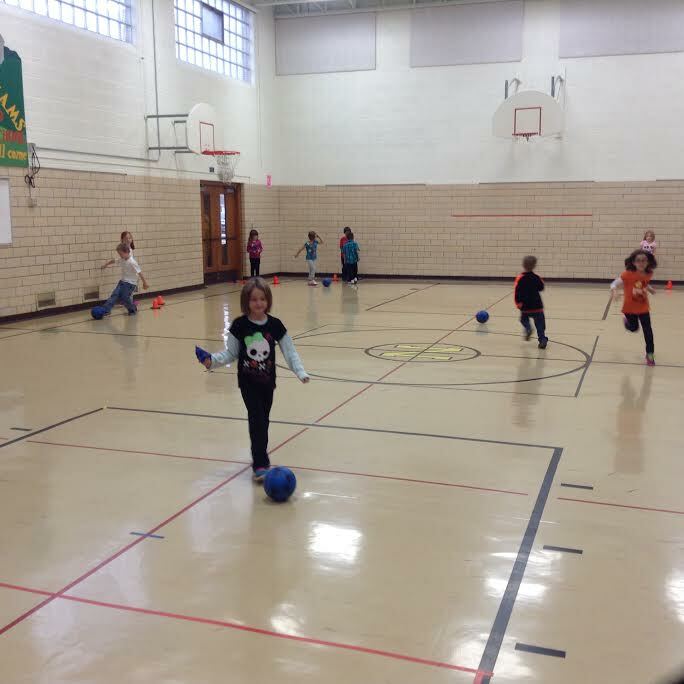 They are learning to dribble with the inside, outside and inside and instep of both feet all while keeping the ball close to themselves. 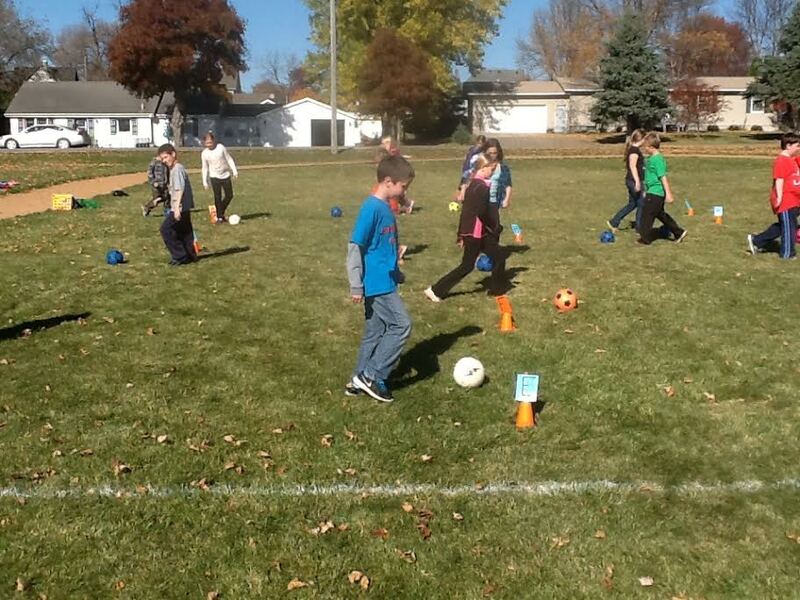 They are also learning to pass the ball with the inside of the foot and also how to trap the ball. They completed a fun activity today using our spelling skills. 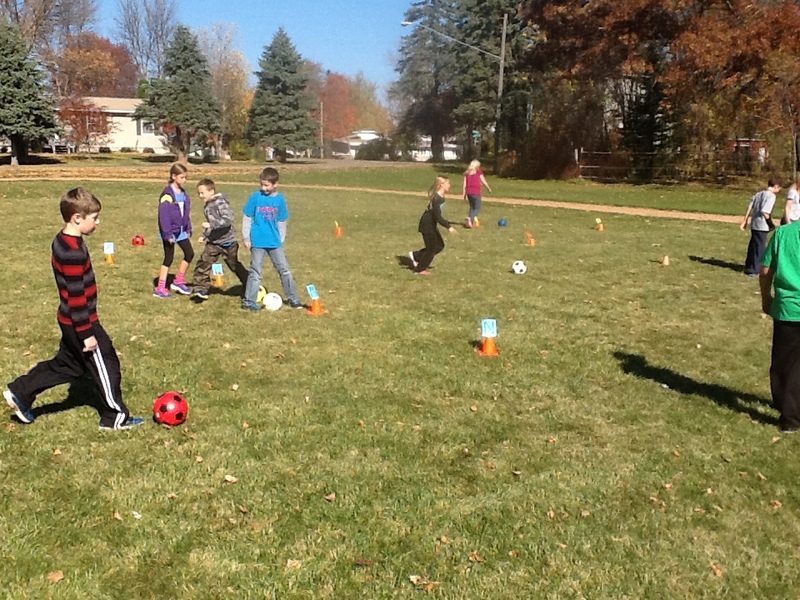 The students had to make their way around the field finding letters that make up their names while dribbling the soccer ball correctly and as quickly as they can. 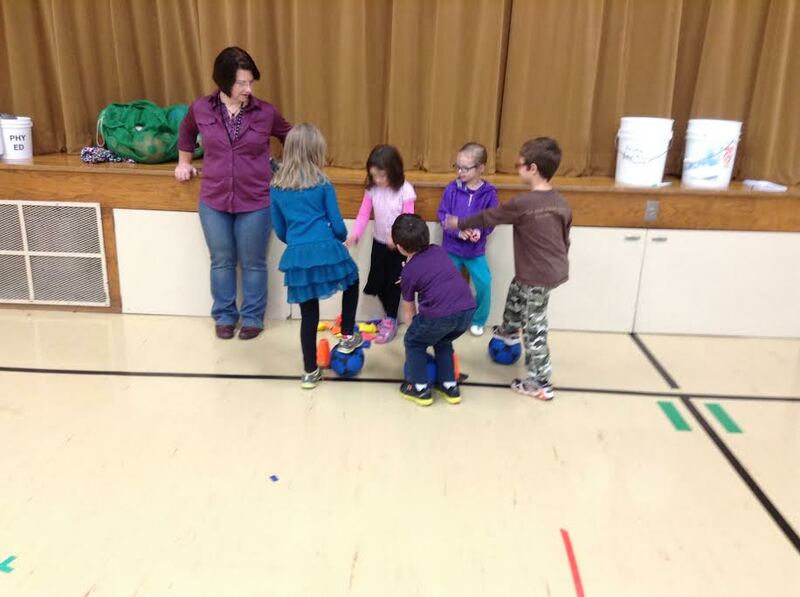 Some activities are done with partners and some individually as well as small groups. There were more that they offerd but these tended to be the most repeated. Phy Ed is a unique time in the school day when they get to move and run but need to do so in a way that is safe and in a way that fits the rules. 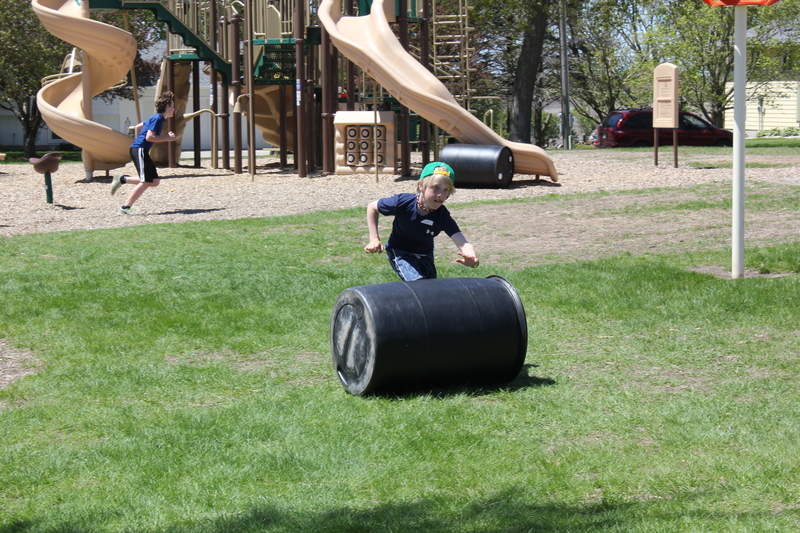 The Faribault Cross Country 1 Mile Run for 1st-5th graders is quickly appoaching and is scheduled for Sept. 30th at Alexander Park again. Please refer to the attached flyer for details. I hope that many of our students take advantage of this FUN RUN as we traditionally have in the past. We have been working very hard at slowly increasing our running endurance here at school and hope to run the 1mile (grades 1-5) and 1/2 mile for kindersthis week during Phy Ed class. 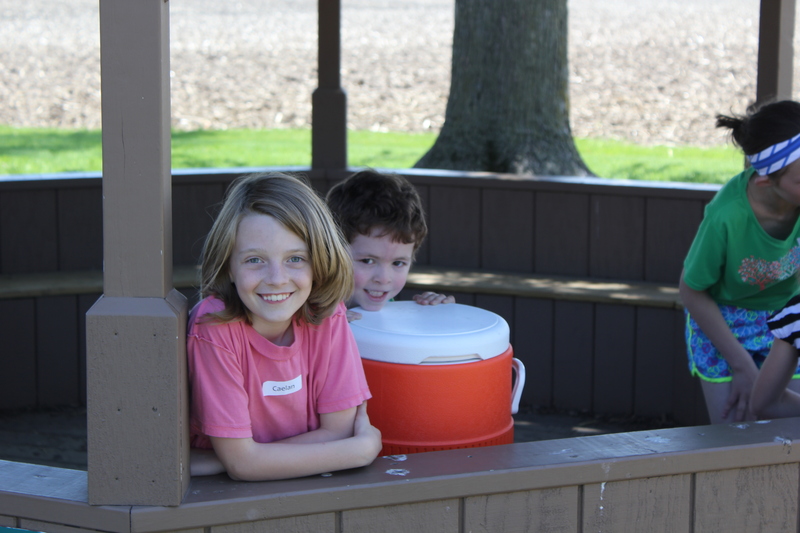 Children are allowed/encouraged to bring a water bottle out to the track if they so desire. 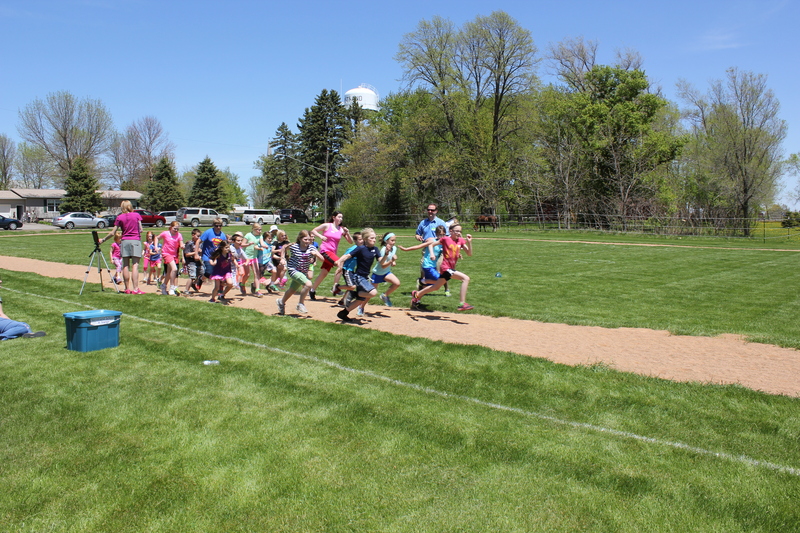 On Friday afternoon May 23rd, the whole school body participated in the annual All School Field Day. 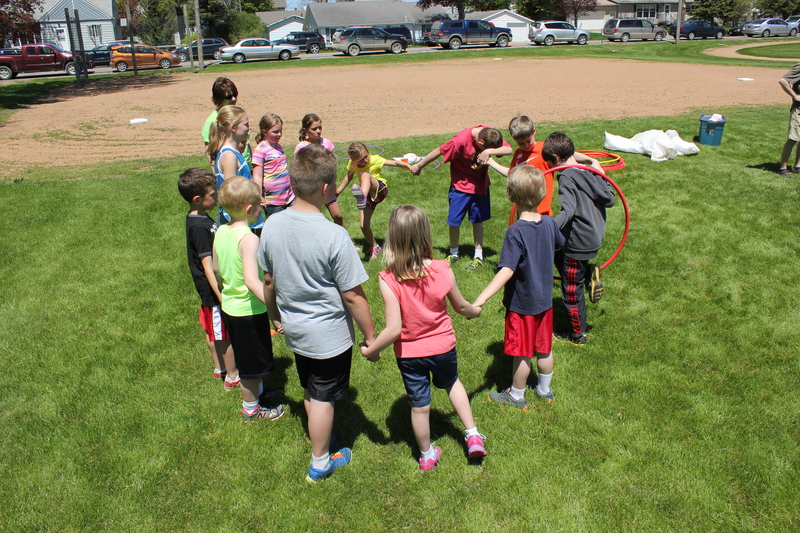 The weather was perfect and the games/activities were fun. 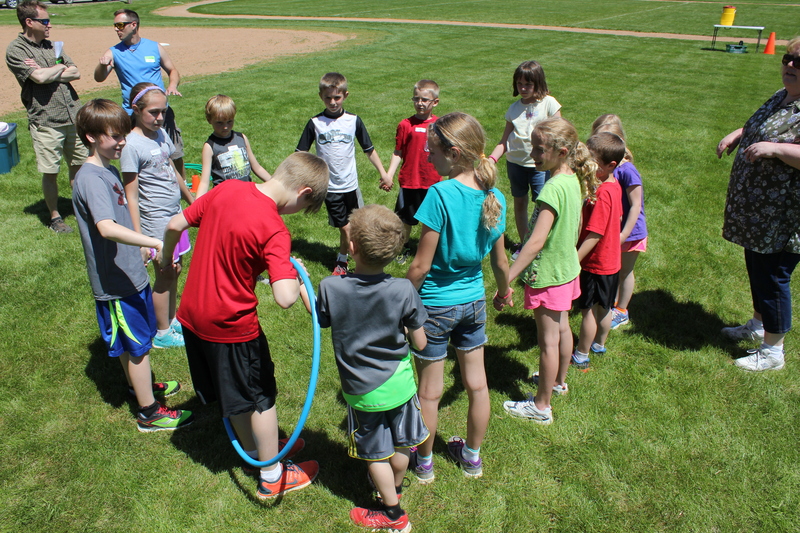 The students were divided into 12 teams from their homerooms (grades K-5). 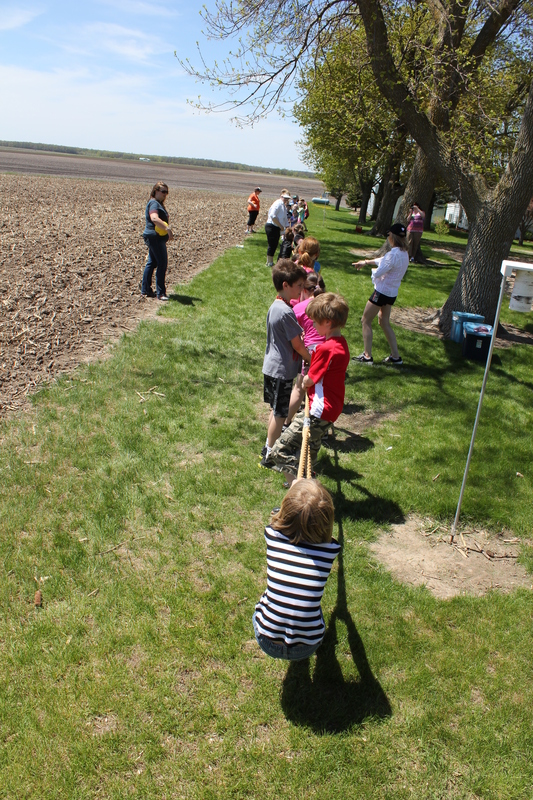 Each team gave themselves an fun name and were lead by at least 1 adult volunteer from station to station. 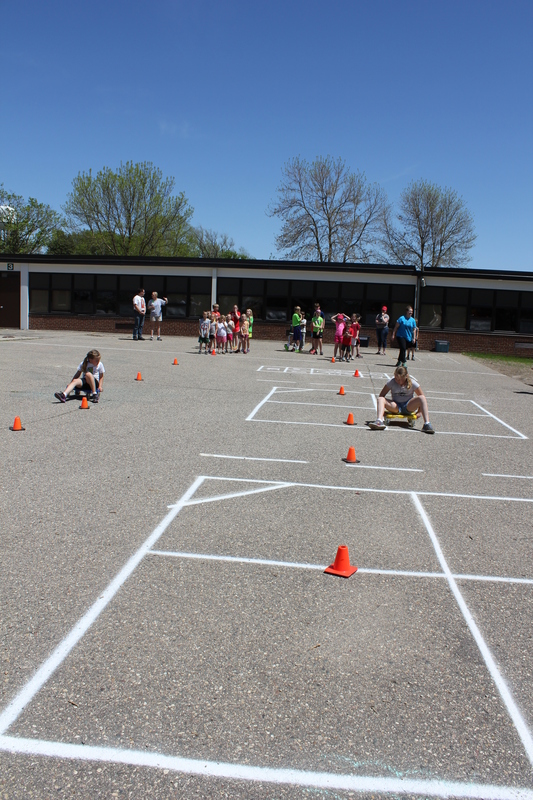 The afternoon consisted of 6 different stations where they participated in obstacle courses, hoop relays, 400m run, tug-of-war, Melon Races, scooter relays, Steal the Bacon game just to name a few. 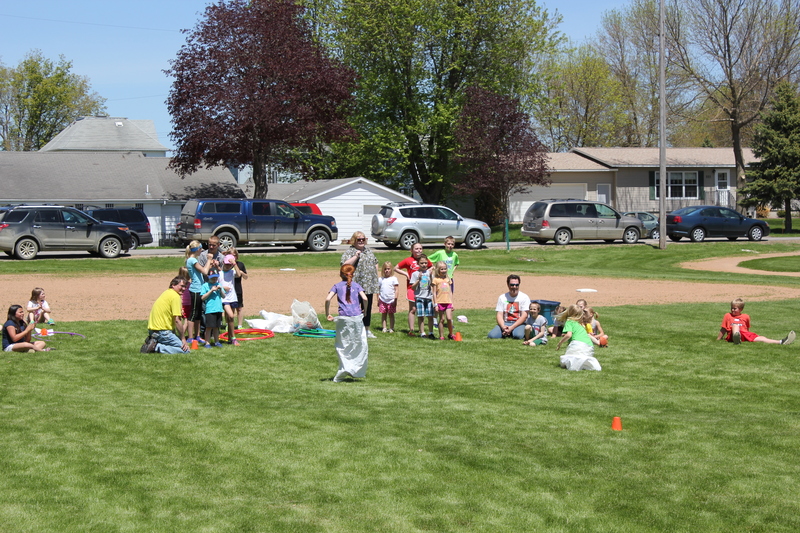 The games were lead by staff members scattered around about school grounds. 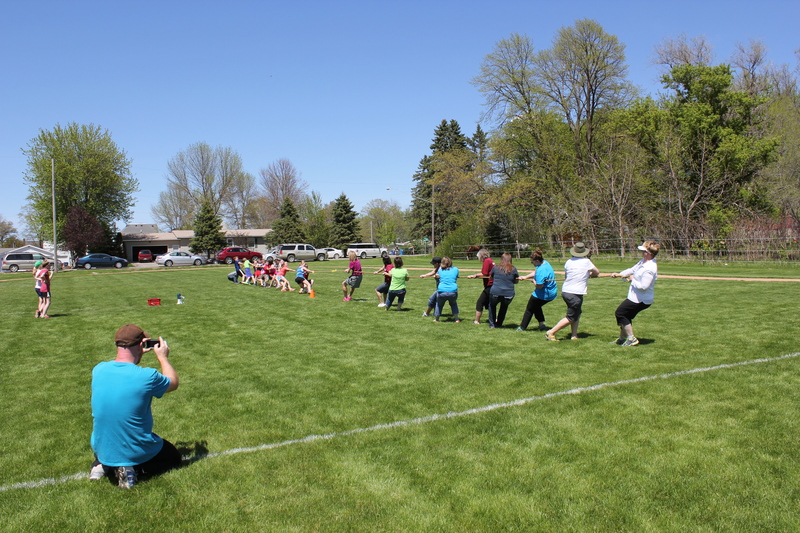 The field day ended with the student body and volunteers cheering on the 800m runners and the ever-popular tug-of-war competition between the whole 5th grade vs the staff. 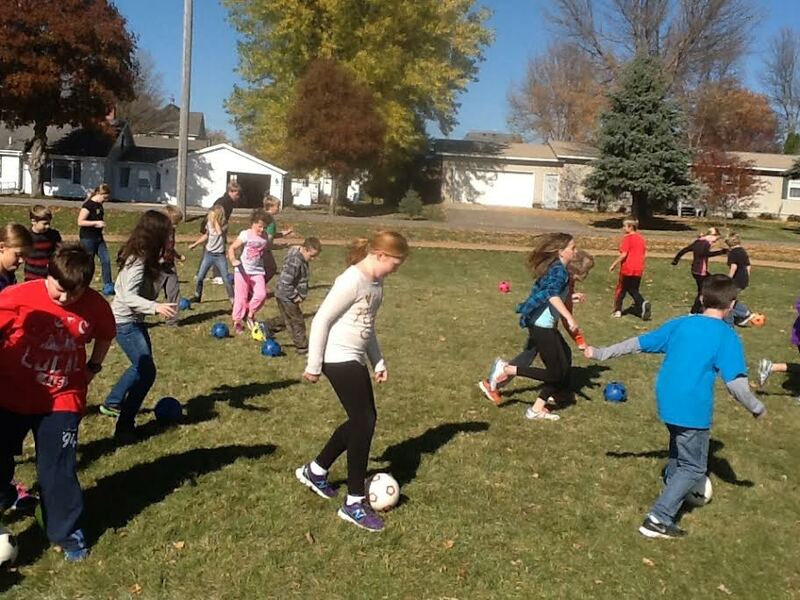 What a great day to bring all students together working as teams consisting of kinders to 5th graders. In many ways, this has been a long winter. In Phy Ed class, however, winter seems to have flown by. We have completed units on volleyball, scooters, floor hockey. We are now in the middle of the parachute unit. 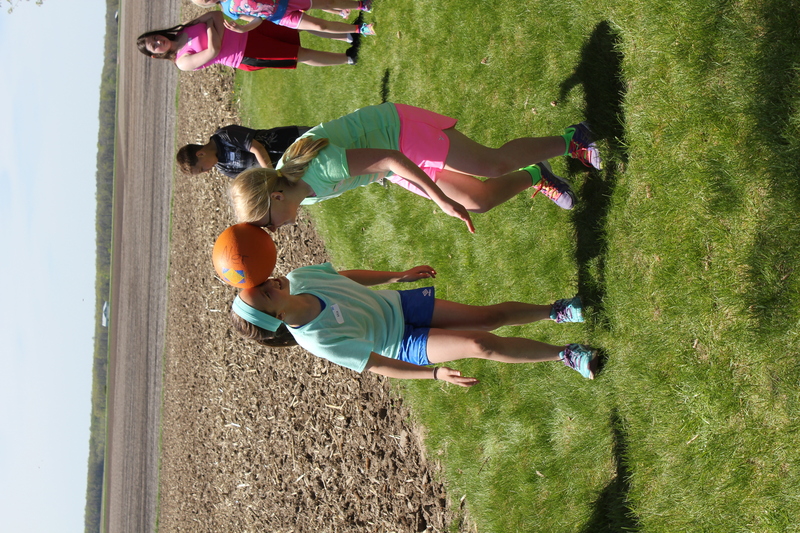 Volleyball was a time to explore using balloons and beachballs to establish and reinforce their volleyball skills of passing and serving at their level. In the woodlands, they used the volley-lite balls for many of their games. 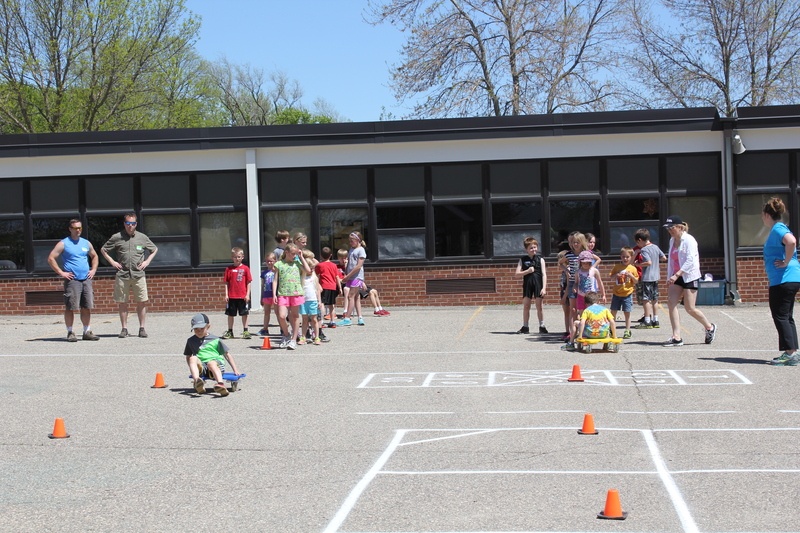 The highlight of our scooter unit was of course "Highway" where students rode the entier period on their scooter around the gym in an obstacle course style "city" obeying the rules of the road while having to avoid collisions and rock slides. In some cases, the students had to visit the "jail" until they were freed. 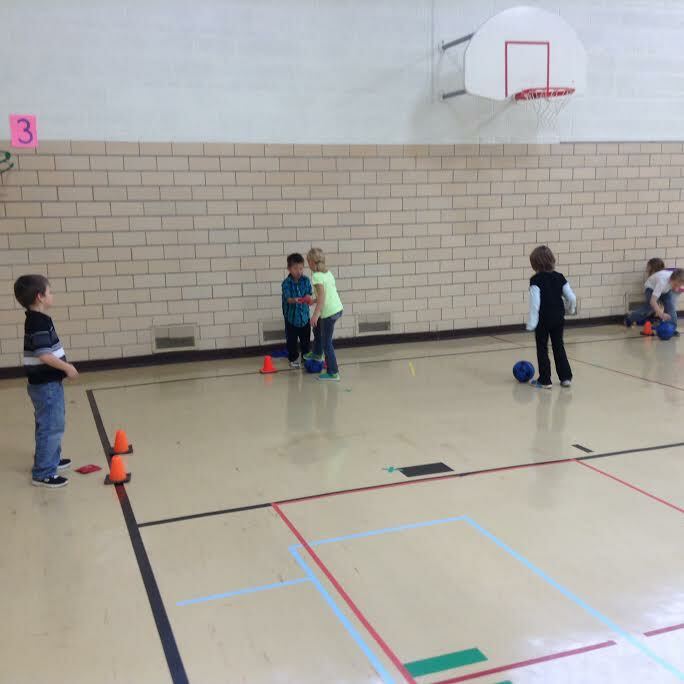 The floor hockey unit provided an opportunity to learn and continue to develop thier dribbling, passing and shooting skills (using various balls and pucks) all while keeping their sticks at or below knee level. We are in the middle of a throwing unit. 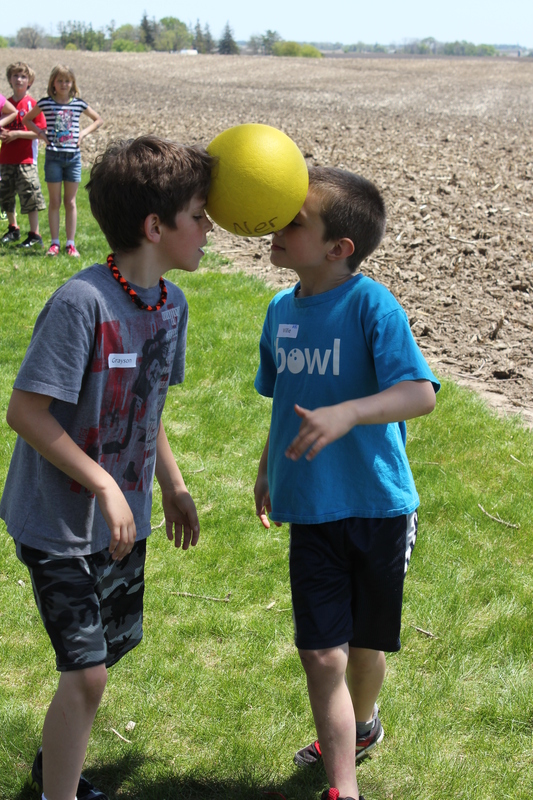 We have learrned and improved upon our overhand and unerhand throwing shkills in a variety of games and activities using numerous balls and throwable objects. We are becoming much better and accurate throwers as we practice. It's fun finding activities and games that include throwing. 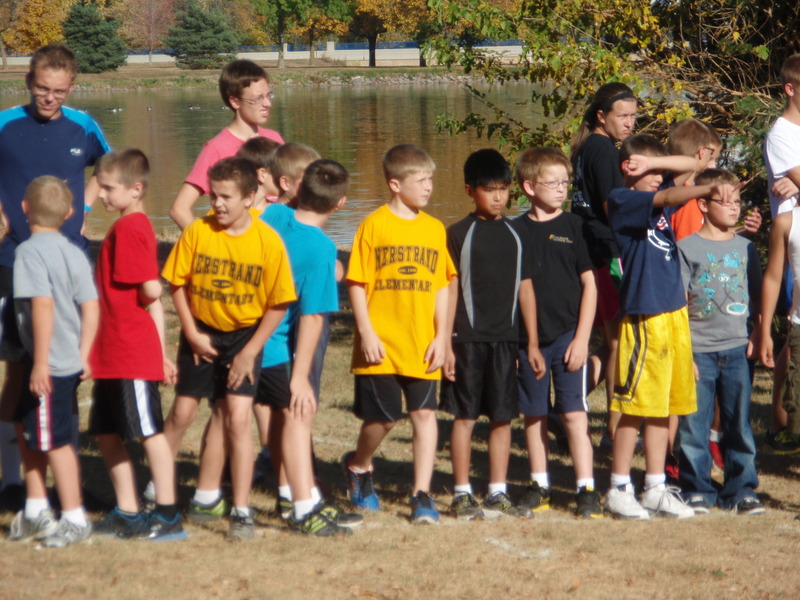 We had a great day at the Cross Country Mile Run October 1st. Our students did a great job representing our schoo with some good run times and many placed in the top 3 spots. Attached please find the link for the Faribault Cross Country Mile Run October 1st. I hope we can have a good number of participants. We have been running the mile and 1/2 mile run in Phy. Ed. yesterday and today. We have seen some good times and good efforts. Keep it up! 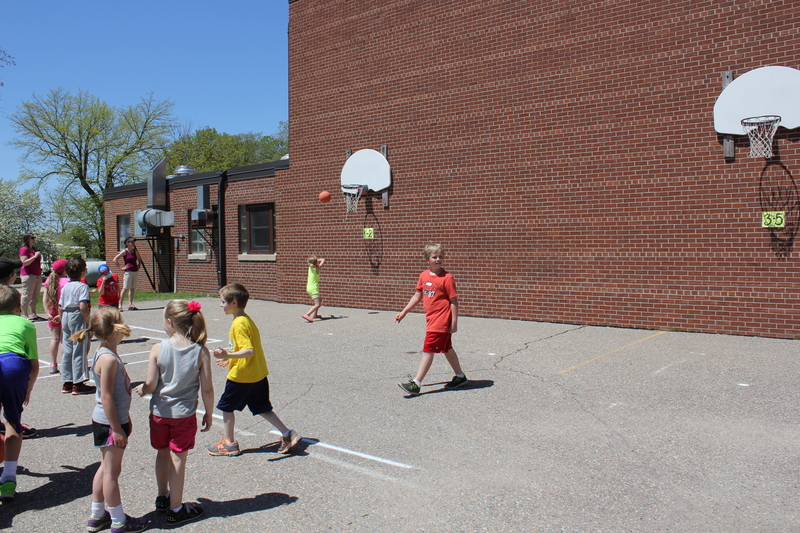 We have been enjoying the nice weather being able to get outside most days for Phy Ed. 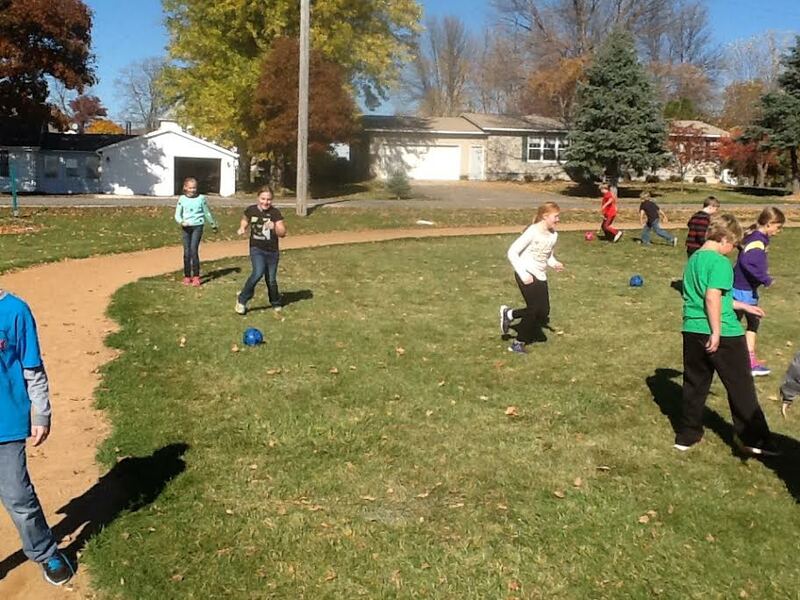 The students have been working hard getting ready for the MILE run (grades 1-5) and the 1/2 MILE run (kinders). We will probably be running those the week of Sept. 23rd during class. 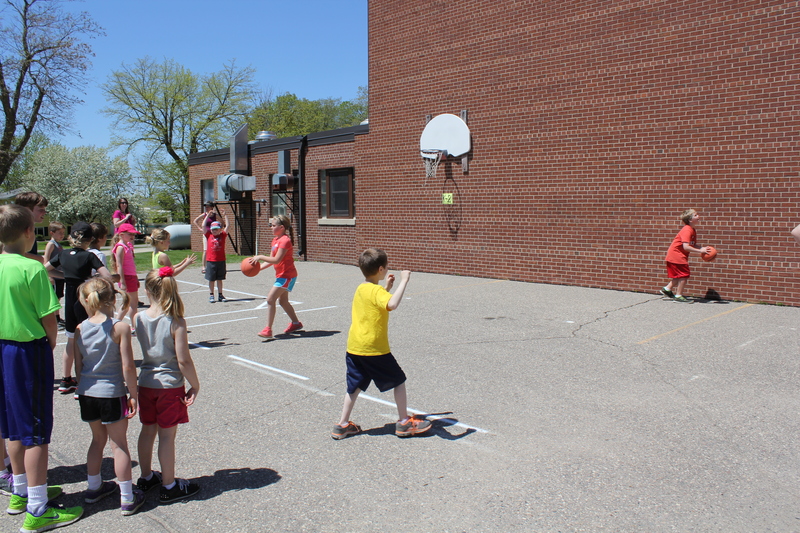 For some of the younger student, learing new games is fun and exciting. They have also been doing some fitness stations and fitness testing as well as building some endurance for some to the fitness components. 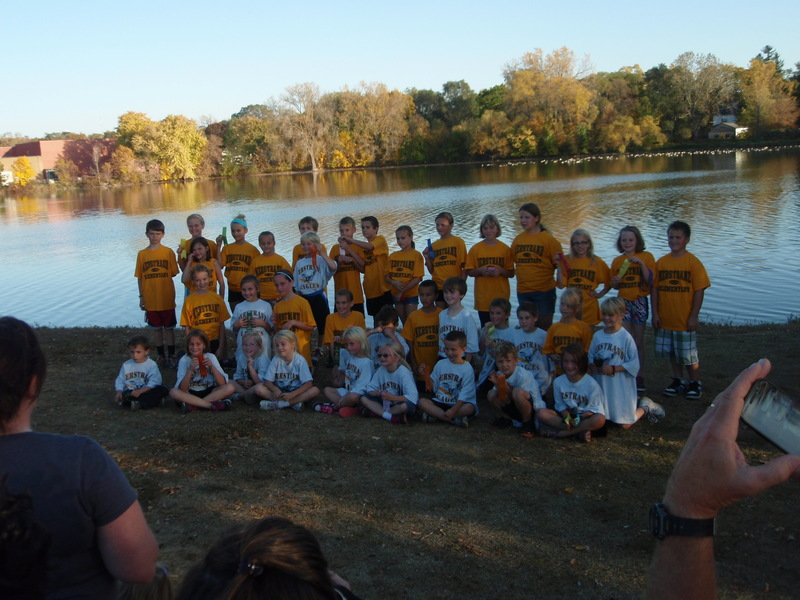 Our school will once again be invited to participate in the Faribault Cross Country Mile Run Tuesday, October 1st (grades 1-5). I will get the printed flyer sent home with the students as soon as I receive it. This is a fun event that we traditionally have been well represented by our outstanding runners and participation numbers. 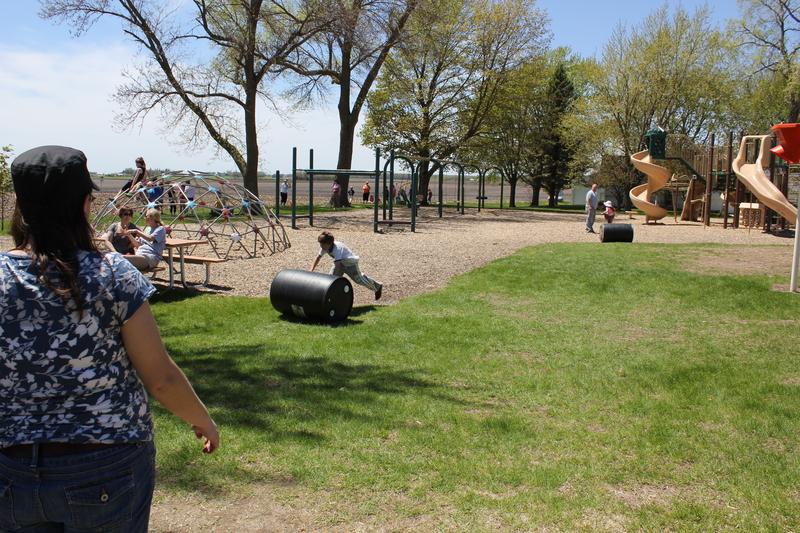 It is held at North Alexander Park near the Cannon River, opposite the football field. Last year we had at least 1 runner finish in the top 3 of all the age divisions except one, that's impressive. The older students start at 4:00 and then the younger ones start closer to 4:40. Look for for more details here in the near future.